To install PHP, We have to installed AMP(Apache, MySQL and PHP) software. There are various AMP software available in the market. XAMPP (Cross-Platform, Apache, MySQL, PHP and Perl) for windows. WAMP (Windows, Apache, MySQL and PHP) for windows. LAMP (Linux, Apache, MySQL and PHP) for Linux. 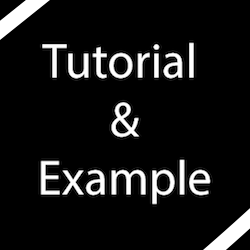 Note: In this tutorial, we are using XAMPP software. Follow these steps to run our PHP code. Download AMP (Apache, MySQL and PHP)software. Install it inside “C” drive. Create your own folder “phpfolder” inside the directory. Now open browser and write: “http://localhost/phpfolder/”. You can download and Install server. You can install it inside the “C” drive. Now, create “phpfolder” folderand save it inside the given above directory. Now,write a simple program and save it “index.php” inside the directory: C:\xampp\htdocs\phpfolder. Open your Browser like Chrome, Firefox etc. You can run your php code by writing given code in browser url: http://localhost/phpfolder/. Note: By default “index.php” page will be executed, when you call your project folder name.